Back in 2016, OnePlus launched the OnePlus 3 smartphone with 6GB of RAM and made a splash in the market. 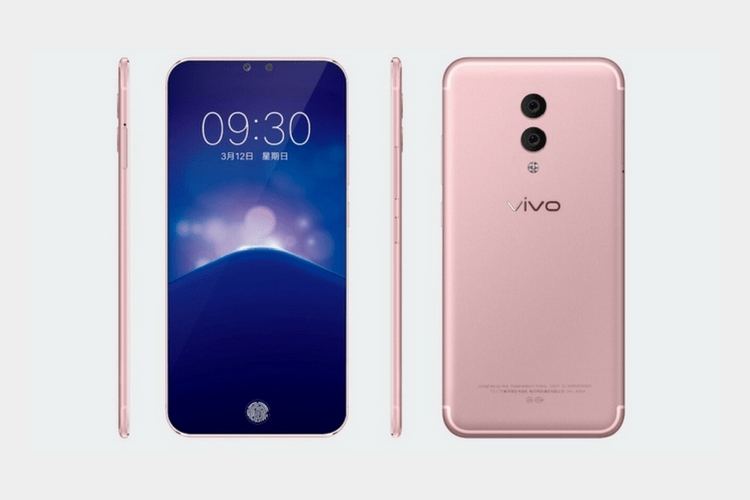 And now in 2018, it looks like the rat race for smartphone specs is still alive, at least in China, as Vivo is looking to launch a smartphone with 10GB of RAM. 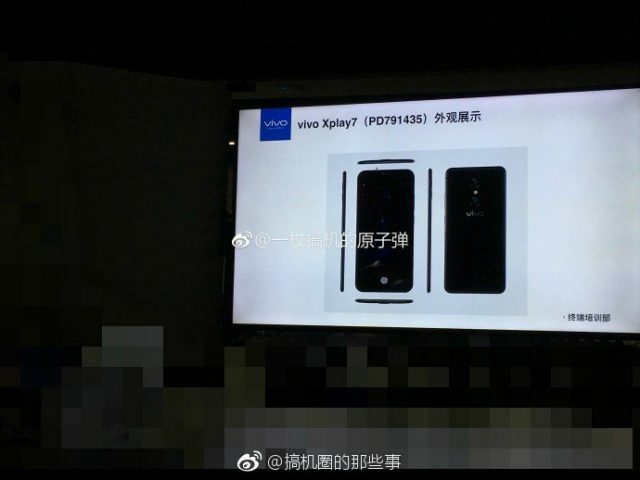 The alleged smartphone in question is the Vivo Xplay 7, which isn’t a new entrant on the rumor mill. The device showed up a few months back for the first time. And now, the device has broken cover yet again on Weibo. 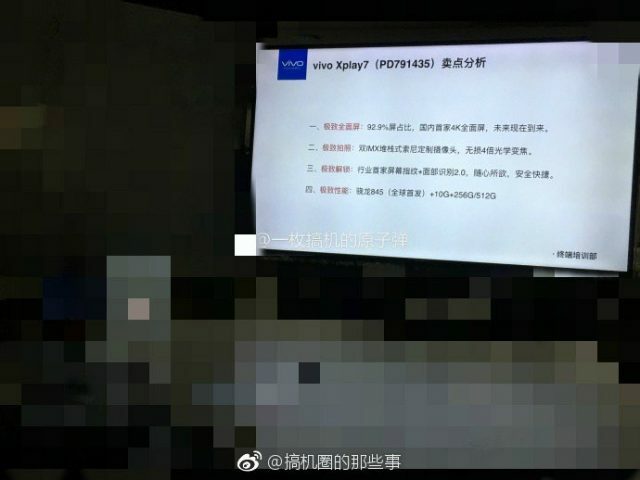 Essentially what we have here appears to be screenshots of a PPT doc that also contains the expected specs of the smartphone. On the hardware side of things, the Vivo Xplay 7 is expected to sport a bezel-less display with an in-display fingerprint scanner. In case you’re wondering, the in-display fingerprint scanner made its debut with the Vivo X20 Plus. And this display with ultra-thin bezels is expected to be a 4k panel. The device is also expected to pack the latest Snapdragon 845 processor. And as mentioned earlier, Vivo is going the extra mile to pack this device with 10GB RAM, which if true, would make the XPlay 7 the first commercialized smartphone to pack 10GB of RAM. Reportedly, users opting for the 10GB RAM variant of the smartphone will also have an option to choose between 256GB & 512GB of internal storage. But that being said, we are yet to see a smartphone chip with a 512GB capacity. In fact, it is also worth making a note that only Samsung has started mass producing the 512GB flash memory. Furthermore, Vivo is also said to pack the Xplay 7 with dual camera setup at the back with features like 4x lossless zoom and Face Unlock 2.0. Specifications like 4k display, 10GB RAM, and 512GB onboard storage, etc. is definitely an overkill, at least for a smartphone in 2018. But hey, someone has to start a trend, right? With all that being said, we don’t have any details about this device’s launch. So essentially, these are nothing but just numbers at this point and hence, we suggest you take them with a pinch of salt. But we’d like to know your thoughts on this. Do you think 10GB RAM is something we need on a smartphone right now? Tell us your opinions in the comments section down below.